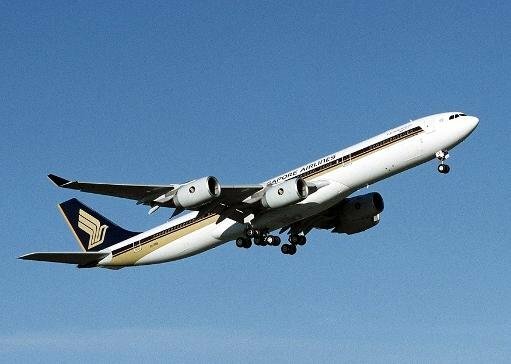 The world's longest non-stop commercial flight ended without fanfare recently after Singapore Airlines flew its last nearly 19-hour service from New York. Flight SQ 21 landed in Changi Airport, bringing an end to a nine-year run. A direct service to Los Angeles has also been cancelled as part of a fleet renewal. "Food and refreshments were served to customers at the airport gate hold rooms in Singapore and Newark. Customers were also presented with commemorative gift sets and certificates," an SIA spokesman added. Analysts said the rise in fuel prices since 2004, when the 15,335-kilometre (9,529-mile) service was launched to cater to business travellers, made it economically unsustainable. The cancellation of the service was first announced a year ago. Five Airbus A340-500s used by SIA for the service to New York -- through neighbouring Newark -- are being swapped for Airbus A380 superjumbos, a larger but more fuel-efficient model that is not designed for such distances. The 100-seat, all business-class service to New York was pricey but passengers flew in comfort and saved hours of travel time by not having to make stopovers. A Singapore travel agency said the last list price for the New York direct service was Sg$14,000 ($11,180). "Ultra long-range routes have proven to be uneconomical, making it unlikely there will be a return of flights over 17 hours, which can only be flown by the niche A340-500 or (Boeing) 777-200LR," the Sydney-based Centre for Aviation said in a commentary in September. Following the withdrawal of the two direct US services by SIA, three routes will share the distinction of being the longest in terms of duration ?- Dubai-Houston, Dubai-Los Angeles and Johannesburg-Atlanta -- at 16 hours and 20 minutes, the centre said. In terms of distance, a Qantas flight from Sydney to Dallas will be the longest, but tailwinds enable it to be completed in 15 hours and 20 minutes, it added. In a statement in October 2012 announcing the shift in its US services, SIA said it was disappointed that it was cancelling the direct flights to Los Angeles and New York but remained committed to the US market. It now serves New York with a stop in Frankfurt. A spokesman for Airbus said it was in negotiations "with a number of potential new operators" for the five A340-500 aircraft previously flown by SIA.